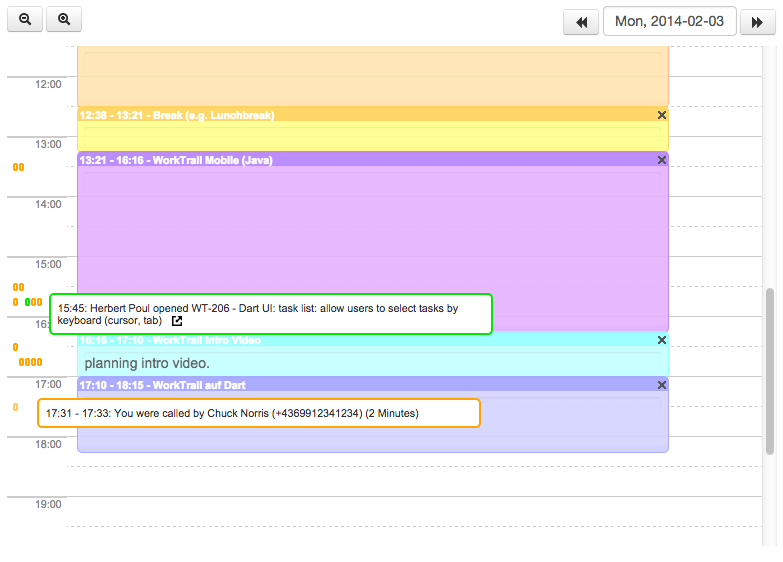 Tracking work time should be natural for anyone who considers time as valuable. But there are many more things around your work which are worth tracking in favor to add additional value to your work sheet. This is why we are introducing the Quantified Workplace. Currently, it's more of a development direction we are taking, and will continue to improve this feature based on our user's feedback. 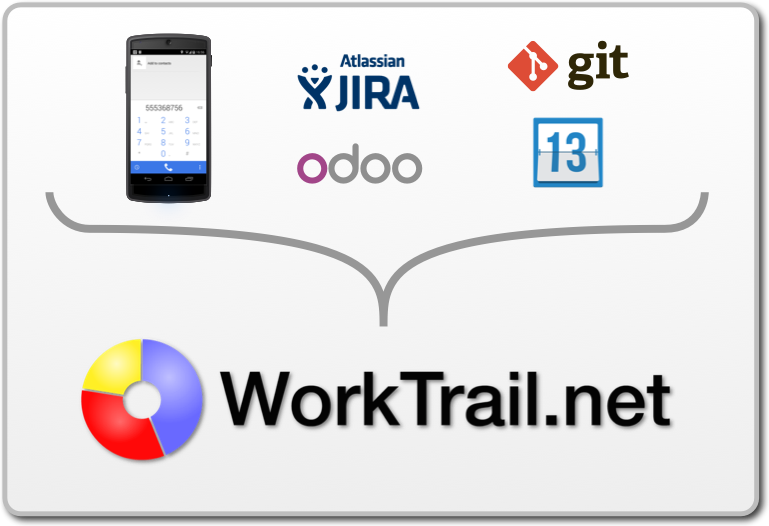 The first step is the WorkTrail Hub which allows users of WorkTrail to import data from third party services into their time sheets to support managing their work time history. For example the WorkTrail - Call Log Sync App might enrich the metadata of your working day with important information when, with whom and how long you have talked on the phone and therefore were bound to a conversation which you might have missed tracking by active means in our real time tracking app. We have written a little tour guide about this new direction and feature and we would love to gain feedback from you and if you have an opinion on this kind of data enrichment for your work day don't hesitate to comment or write us about what you think is important. So saying that you see what we intend to do for our product. We want to help you to keep track of your valuable time easily and as flexible as possible. Many more samples are available in your Managment Interface how you can use Quantified Workplace in WorkTrail.